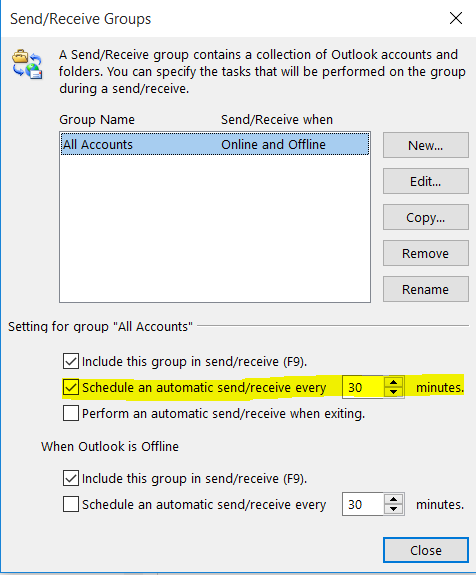 In Zimbra connector for Outlook (ZCO), shared calendars are sync every 30 minutes. Is it possible to reduce this delay and sync shared calendar every 5 minutes ? This will change the complete synchronization duration on ZCO. The default automatic synchronization interval is 30 minutes, you can change it according to your requirement. This change applies to the complete items in the mailbox and not just the calendar (like inbox/sent items/signatures etc).